Chris clark, to me, is like Boards Of Canada, Aphex Twin, and a bit of Autechre thrown in for good measure (no wonder he’s on Warp, right?) His album Clarence Park is pretty much solid wall to wall. This track is a stand-out if not only for it’s Aphex slant. Sorry for the small cover art, couldn’t find a proper sized version. Also, I’m at Newark airport having some beers with my brother so not all that concerned with Jpeg resolutions at the moment. Carl Craig+Mark E.. ChoirofYoungBelievers.. Clark+RxGibbs..
Great album. His new LP, ‘Turning Dragon’ is brilliant as well. Wow, thank you so much. I’m realling digging his music so far. Loving the intro (Pleen 1930’s) right now! So when are we seeing some artistic work by brother Hansen? Do the genes run in the family? Diesel Raven from the Clarence Park album completely sealed the deal the first time I heard it. Other Clark faves are Herzog & Ted from the Body Riddle album, the Bibio remix on the Ted EP(!! ), See See on the Throttle Promoter EP, Early Mass on Empty the Bones of You, and a handful of the darker tracks on Turning Dragon. Talent. wow! Chris Clark has recently become one of my latest favourite. I must admit that my playlist right now sees the same 4, 5 names going up and down the spot of the most played artist (Apparat, Tycho, Clark, M83, Death in Vegas). I definitely have a sweet tooth for his debut album Body Riddle. I guess certain music is addictive. Chris Clark is great, when I’m designing, skiing, or enduring any physical/mental activity I love listening to him, Boards of Canada, Aphex’s ambient stuff, Autechre and of course Tycho. 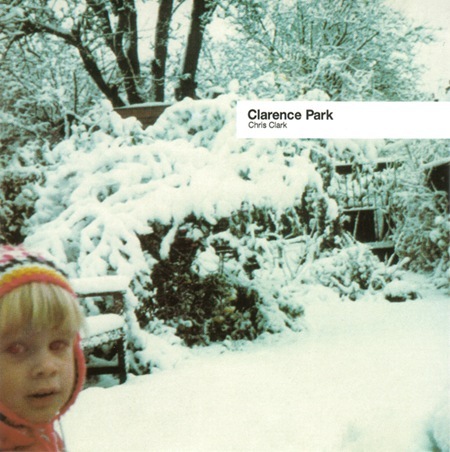 Clarence park is a great album for sure. Good luck in Portugal man, bring a lomo or any lo-fi camera for some shots and most important scott…….be safe, ok? Clark has some great stuff, I got into him last yr when I heard Body Riddle, Roulette Thrift Run is a mesmerizing song. Although sometimes it’s a little too out there for some activities. This track you posted is awesome tho, I never looked into his earlier work, but I will now, Clarence Park sounds very good. As everyone’s said, I love these recommendations you post, keep em coming! hi rez covers but it’s sometimes hard with the more obscure titles. middle one is an engineer and the younger one is just getting into college, so still waiting on that….we’ll see. Def been a fan of Chris Clark for awhile now. I find his stuff to be hit or miss though, but when he’s got a hit, it’s soooo good. Herr Bar & Ted off Body Riddle are some of my favs along with Shonny of his self titled. 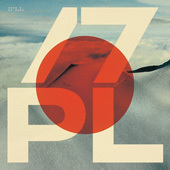 This is one of my first ambient / idm albums that I heard, and because this track!. I listened Clark because “1st. ave machine” made an excellent video for him’s track TED (my inspiration).